We were turning heads in Wexford on Friday when we finally got the chance to take the new Audi TT on the road. And our first impressions were that this sporty little number was worth the wait. Inside, the cabin feels spacious and your eye is immediately drawn to the centre console – or lack thereof, in the traditional sense. Everything, from driving information to 3D SatNav, is routed through the new virtual cockpit with the result that there is no infotainment screen in the centre console. What it does have in that spot are three large air vents with digital controls. From launch the Audi TT and Audi TTS will be available with a choice of three engines – two TFSI petrols and a TDI diesel, with power outputs ranging from 184bhp to 310bhp. Audi says all of the engines ‘combine plentiful power with trailblazing efficiency’, and feature the fuel efficient start-stop system as standard. 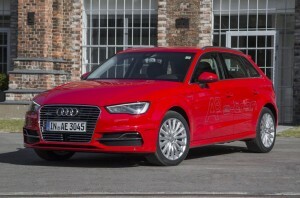 However, it expects the 2.0TDI 184bhp ultra front wheel drive manual to be the most popular one sales-wise in Ireland. Audi puts its 0-100kph acceleration time at 7.2seconds and it has a top speed of 234kph. Stated combined fuel efficiency is 4.2l/100km and, with CO2 emissions of 110g/km, annual road tax is just €190. We plumped for the 2.0-litre 230hp TFSI model at the launch – and we weren’t disappointed with our selection. It provided a beautiful, powerful drive and the sound of the petrol engine in dynamic mode was sweet. As always though, we’ll reserve final judgement until we get it on a proper test run later in the year. The new third generation Audi TT is lighter than its predecessor, as well as having a lower centre of gravity and driving position. Audi says that driving dynamics have been improved and that the quattro all-wheel-drive option offers ‘greater high speed stability and traction’. The new model is available in two trim lines – the Sport and the S-Line. 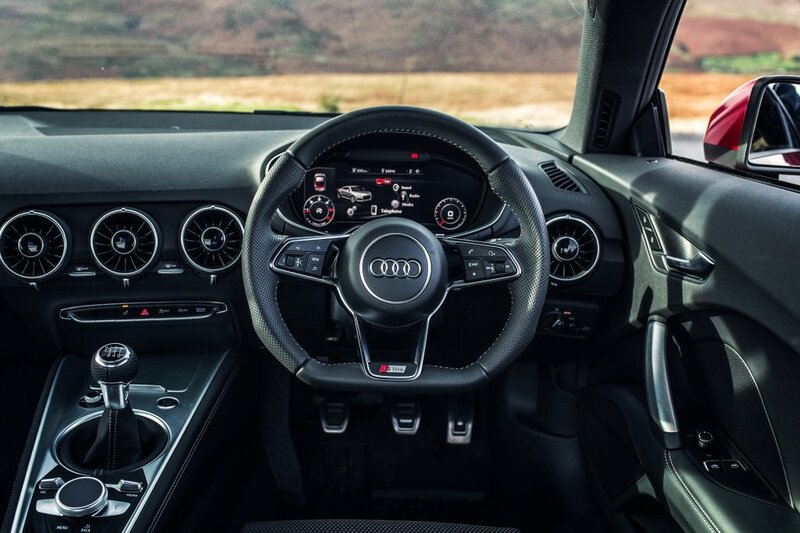 Standard features in Sport include the digital Audi MMI virtual cockpit, Alcantara/leather sports seats, cruise control, Audi music interface and xenon headlights. Meanwhile, the S-Line model we were driving also includes Audi Drive Select, LED headlights, 19” alloys and S-Line styling. Optional equipment includes Audi Connect – a 4G internet system for services such as Google Earth Maps and Streetview as well as Wi-Fi hotspot and social media access. 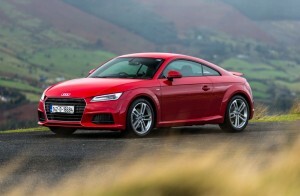 The new Audi TT is available to order now for January delivery, with prices starting from €47,550. The TT was one of four new cars being unveiled by Audi, including the futuristic sounding A3 e-tron plug-in hybrid, which we got to drive earlier this month at the Web Summit in Dublin. The new Audi A6 and A7 where also showcased and we’ll be taking a first look at those over the coming weeks.